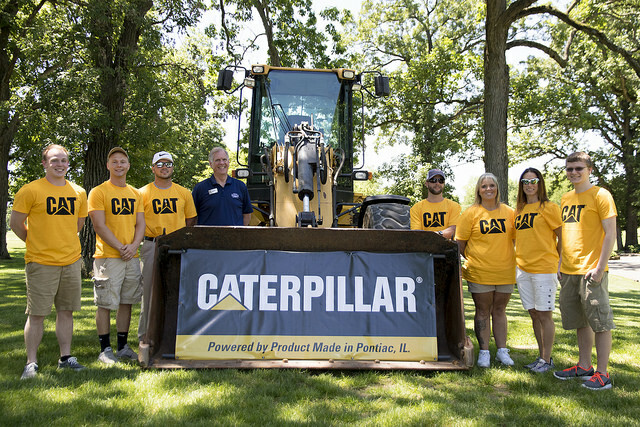 Caterpillar Engine Systems and the Heartland Community College Foundation hit a new fundraising record at the eleventh annual Scoring Fore Scholarships golf outing. The event brought in more than $61,500 which will fund eight full-ride scholarships for the upcoming school year. Scoring FORE Scholarships raises funds for Heartland students from Livingston County. Since its start in 2006, the outing has raised more than $390,000 and has granted 37 scholarships. Held at the Elks Lodge in Pontiac on June 2, this year’s event included 50 teams and is the highest grossing singular fundraising event ever hosted by the College. The Caterpillar Scholarship covers tuition, fees and books for up to four semesters. Current recipients include Trevar Moran, Jean Murphy, Bobbi Leacock, Corban Roberts, Robert Shelby, Ryan Shoemaker and Darin Winkler-Trout. Livingston County students interested in the scholarship should visit the Foundation's website. Applications for the 2017-18 school year are due by July 1.